Confused about the latest nutrition advice to hit the airwaves: butter is healthy? For years, nutritionists and other heart health professionals have been advising cutting back on our intake of artery-clogging saturated fat, most notably BUTTER. This erroneous and potentially harmful nutrition advice is based on the new meta-analytical research, recently published in the “Annals of Internal Medicine,” which looked at dozens of studies on fats and heart disease from across the globe. Researchers reviewed all of the results and came to the conclusion that saturated fats had no effect on heart disease risk. What the media has failed to mention is that this single meta-analysis is fraught with scientific error. (So much so, that a number of distinguished scientists are criticizing the paper and even calling on the authors to retract it.) While the research showed no link between saturated fat and heart disease, one of the study’s numerous flaws was that it did not include what people ate to replace saturated fat in their diet. If people replaced saturated fat with carbohydrates such as white bread and simple sugars, their risk for heart disease did not decrease. If, however, they replaced saturated fat with healthy fats — like olive oil, nuts, and fatty fish —then they would reduce their heart disease risk as all fats are not created equally. To address some of these flaws, the study authors quickly posted a new version of the publication. Americans are thrilled to hear this news as the trend is to move away from processed foods and back to delicious butter, which is considered more of a natural, “real” food. With all the fear about trans fat (man-made hydrogenated fat), and the misleading remarks about saturated fat not being so bad after all, people are starting to erroneously believe that butter is now heart-healthy. Plus, there is nothing like the taste and texture of real butter and so Americans have simply thrown caution to the wind and really don’t know or care that they are eating that much butter. (In fact, butter consumption is at an all-time high—a dangerous trend that will surely contribute to an increase in American deaths from cardiovascular disease.) Perhaps if the public were reintroduced to the fact that butter is NOT a healthy fat and that it contributes to disease, then they would become concerned with their consumption. 1. 2150 Americans die of cardiovascular disease (CVD) each day, an average of 1 death every 40 seconds. Approximately every 34 seconds, 1 American has a coronary event, and approximately every 1 minute 23 seconds, an American will die of one. 2. The total direct and indirect cost of CVD and stroke in the United States for 2010 was estimated to be $315.4 billion. 3. According to the Heart Disease and Stroke Statistics–2014 Update: A Report from the American Heart Association, reducing saturated fat intake while at the same time replacing saturated fat with polyunsaturated fats from vegetable oils will reduce coronary artery disease. 5. Despite what the media has led people to believe, butter is NOT a heart-healthy food. Butter is rich in saturated fat and dietary cholesterol, two types of fatty substances that have proven to raise the risk of coronary artery disease. Butter is a major source of saturated fat intake in the U.S. The fact is that the best way to fight heart disease (the nation’s leading killer) is to consume a Mediterranean diet, low in saturated fat and rich in olive oil (monounsaturated fat) and fish (omega-3 fat). The take away message is to rely on information disseminated by nutrition professionals and make sure that the conclusions are from findings from groups of studies rather than a single study. Arm yourself with sound nutrition knowledge as knowledge is power. 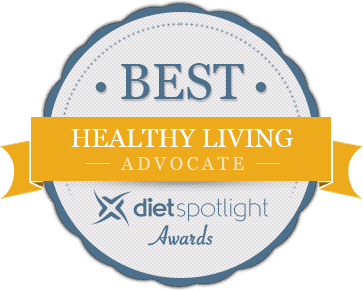 Just be sure to get your information from a registered dietitian/nutritionist, the true expert on food and nutrition topics and the primary source of trusted nutrition information. Place all ingredients in a blender. Blend until ingredients are well combined, scraping down the sides of the container at least once.